When your vision problems require eye surgery, Eric J. Rothchild, MD, and his team at Rothchild Eye Institute are proud to offer an on-site surgery center and expert support from the comfort of their office, which serves patients in Boca Raton, Delray Beach, and Boynton Beach, Florida. Whether you need surgical intervention for conditions such as cataracts or astigmatism, or you’re interested in cosmetic eye surgery, call the office or schedule an appointment online today. When is eye surgery necessary for vision correction? 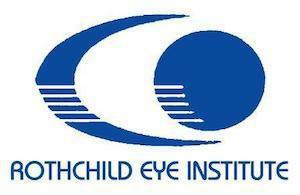 Ophthalmologists like those at Rothchild Eye Institute who specialize in these surgical treatments are highly skilled at correcting vision using up-to-date techniques, helping to improve your vision and prevent long-term complications that could result in blindness. What corrective eye surgeries are available? Dr. Rothchild has over 30 years of experience in both medical and surgical correction of vision problems, including cataracts and astigmatism. The LASIK procedure is used to correct nearsightedness, farsightedness, and astigmatism. Utilizing modern techniques and instruments designed by Dr. Rothchild, this procedure uses highly accurate laser technology to correct the underlying cause of your blurry vision. Cataract surgery offers correction for cloudy or foggy vision caused by cataracts, using up-to-date techniques and premium intraocular lenses (IOLs). This procedure is a specialty of Dr. Rothchild’s, who is considered an expert in the field. The field of vision correction is ever changing and Dr. Rothchild and his team are committed to staying up-to-date and trained in all the best and most effective methods and techniques for correcting your vision. What cosmetic eye surgeries are available? Rothchild Eye Institute is proud to have Cara W. Snyder, MD, an experienced and highly skilled doctor of oculoplasty, on their team. She specializes in blepharoplasty, and offers this procedure at their on-site surgery center. Blepharoplasty is a cosmetic surgery used to remove excess skin and fat from the upper and lower eyelids. Also known as an eye lift, this procedure can help to correct the appearance of baggy or droopy eyes, a common change that happens with age. Other eye surgeries performed by the oculoplastic specialists at Rothchild Eye Institute include repair and reconstruction of tear ducts and enhancement of the area around the eye, including brow and cheek lifts. For corrective or cosmetic eye surgery performed at their on-site surgery center, call Rothchild Eye Institute or schedule an appointment online today.